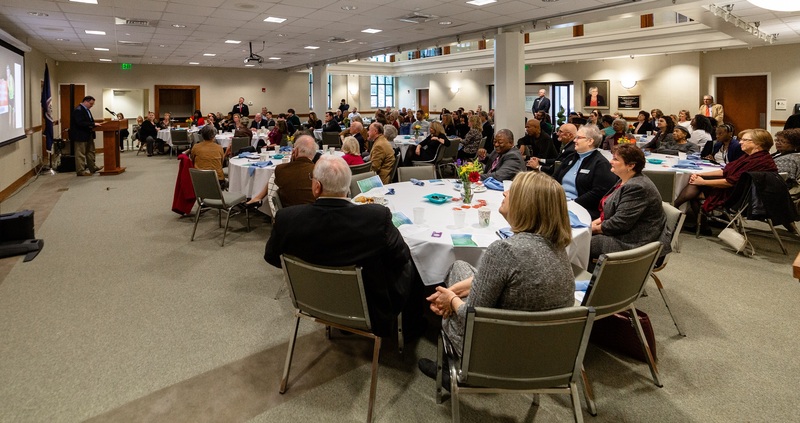 John Randolph Foundation announced a new memorial fund, the Cynthia Piazza Mind & Movement (M&M) Fund, at its Grant Awards Ceremony on January 17, 2019. Tragically, Cynthia Piazza of Chesterfield passed away on October 31, 2018 after a courageous battle against brain cancer. Through the contributions of friends and family, the M&M Fund will carry on Cynthia’s passions of improving the education of underprivileged students and encouraging physical fitness. Cynthia’s husband, Michael Piazza (pictured at the podium), and father, Joe Moore, spoke at the ceremony about Cynthia’s life and her passion for education and fitness. While Cynthia was known for being a runner, her parents were told that she would never be able to run. As a baby, she was pigeon-toed. With a rough sketch from the doctor, her father cut out a piece of wood and glued shoes to it. Cynthia had to wear this home-made brace for over two years. She later went on to run 29 marathons. 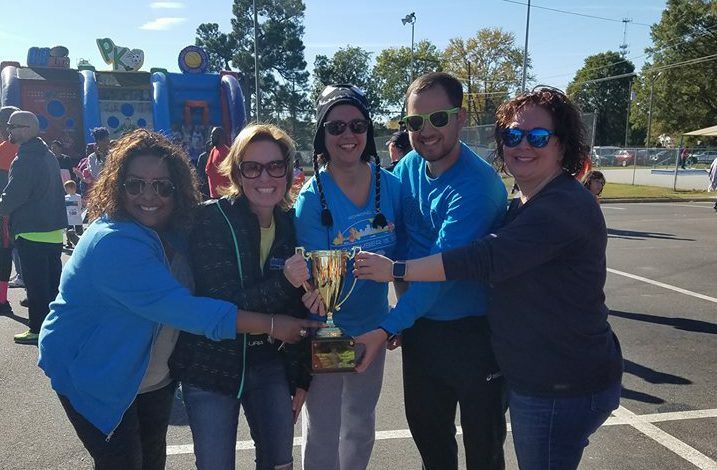 Her role as a Wellness Integration Specialist introduced her to John Randolph Foundation, who provided grant funding to Greater Richmond Fit4Kids to bring their programs to Hopewell Public Schools. Cynthia worked with teachers at Patrick Copeland Elementary and Dupont Elementary to integrate fitness into academic lessons. 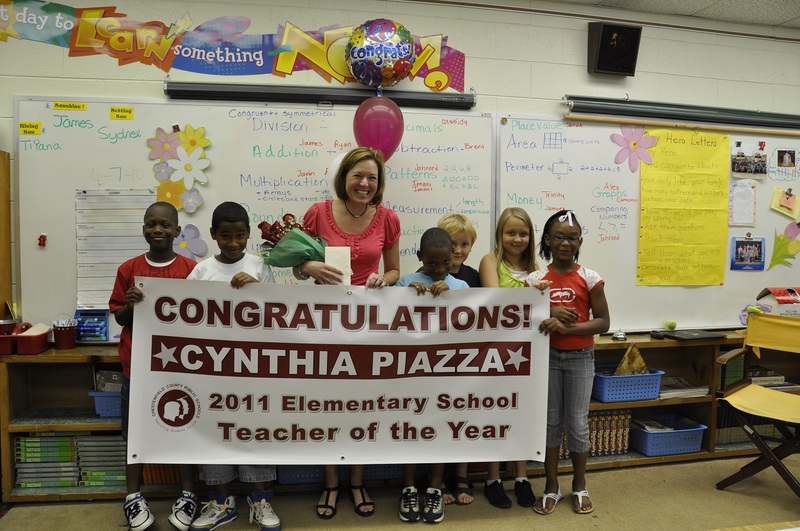 Today, the program continues at Dupont Elementary (and many other locations throughout Central Virginia), though Cynthia’s presence is greatly missed. 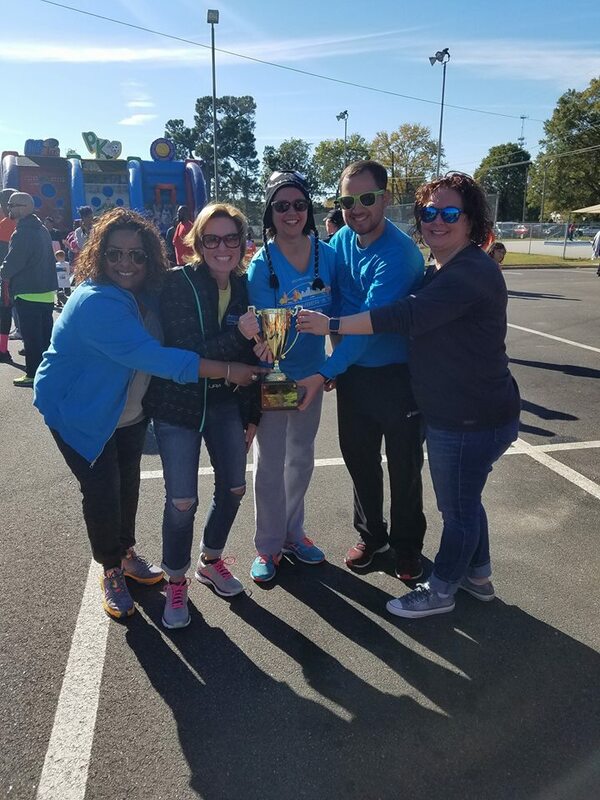 Cynthia, second from left, helped Dupont Elementary win the Mayor’s Cup at the City Point 5K & Kids Fun Run in 2017. The inclusion of “M&M” in the title of the Fund is no accident. 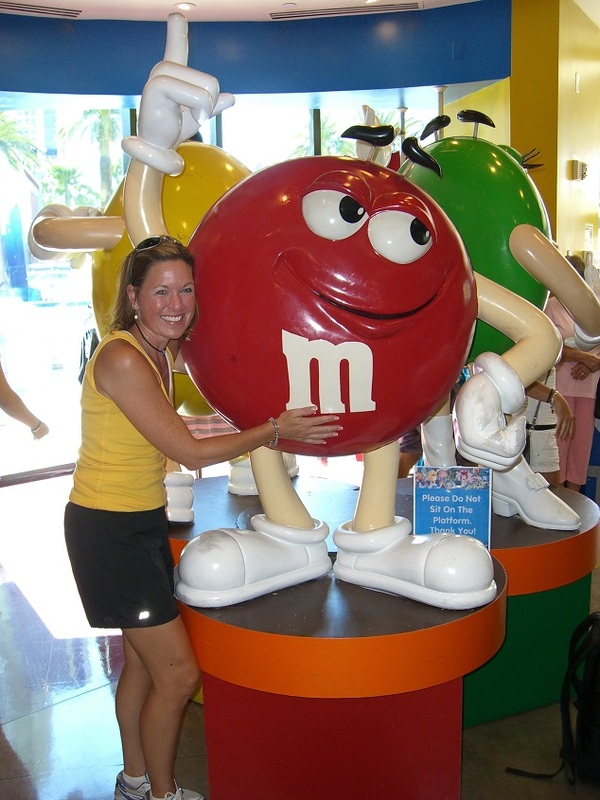 While Cynthia was a proponent of health and fitness, she loved M&Ms. Through all her marathon training, Cynthia used M&Ms as a reward for a job well done. The M&M Fund has raised over $106,000 from family, friends, and colleagues in just a few months, with plans for a memorial race on the horizon. The M&M Fund will award its first grant to a local project in July of 2019. To donate to the Cynthia Piazza Mind & Movement (M&M) Fund, please visit johnrandolphfoundation.org/JRFDonate/donateCP.cfm.